Weight gain is common during menopause. It is normal to gain about one pound a year. By the time most women reach 40, they have usually lost the flat stomach they may have had in their early twenties. There are many reasons for this gain, such as changing hormone levels, which can be caused by menopause. However, it is possible to maintain a healthy weight. Why Does a Healthy Weight Become Harder to Maintain? There are different reasons for weight gain. Lifestyle changes, stress, and hormone levels are often responsible, however, psychological and physiological reasons can also contribute. The psychological causes of weight gain are related to stress and fatigue. Overwork can lead to stress and sleep deprivation. This leads to more binge eating or less exercise, making it difficult to maintain a healthy weight. Weight gain during menopause occurs because of falling estrogen levels. Maintain a healthy weight can be challenging because estrogen hormones are stored in fat cells. Thus, when estrogen levels begin to fall, the body holds onto the fat cells in order to boost estrogen levels. How Can a Healthy Weight Be Achieved? It is important to exercise regularly and to eat a healthy diet. 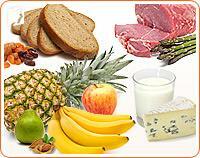 A well balanced diet including fruits, vegetables, meat, dairy products, and fiber is important. Avoid fast food and eat regular, small portions of food. A healthy weight can often be maintained through regular exercise. Practicing low impact exercises is are extremely important. However, if you are concerned about your weight, talk to your doctor. It is usually possible to lose weight through diet, exercise, and occasionally taking natural supplements. Click here for more information about weight gain treatments.